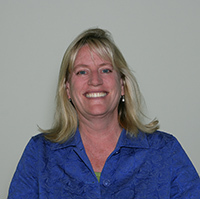 Ms. Saban, a partner at Windward Environmental, has served as a project manager, lead scientist, or technical advisor for environmental assessments and evaluations over the past two decades. She has managed and conducted environmental studies on the local, national, and international level, for both private- and public-sector clients. She has extensive negotiation experience in client-stakeholder interactions and managing complex projects related to ecological risk assessments (ERAs), sediment investigations, and natural resource damage assessments (NRDAs). She has been a leader in assessing and managing potential liabilities for clients, creating mutually beneficial solutions for both the regulated entities and the regulatory participants. She is currently managing and providing technical advice for multiple industrial and municipal clients on waterways that require expertise on liability management related to natural resource damage (NRD), ecological risk, and contaminated sediments. She is focused on risk management strategies to reduce potential exposure in a cost-effective manner. Ms. Saban is effective at reducing complex issues to the cornerstone elements that require the focus needed to complete the project. In this capacity, she has been involved in numerous stakeholder groups as a lead sediment specialist, ecological risk assessor, and NRD consultant. Currently, Ms. Saban has written several articles on managing environmental liabilities and early restoration. She has authored technical briefs on early resolution of NRD liabilities and has taught seminars and university extension courses on NRDAs.